Honor 8S is expected to be the company's next entry-level smartphone to hit the market soon. The upcoming smartphone promises to deliver some good specifications at a pocket-friendly price. 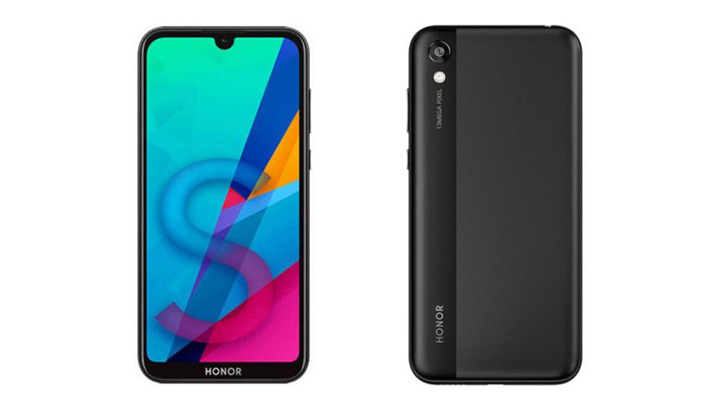 Although The phone will not have an impact like the Honor 20 or the Huawei P30 Pro, These smartphones are still important for those who do not want to spend much and want a basic device with entry level features. The Honor 8S is equipped with a 5.71-inch IPS LCD that supports a resolution of 1520 × 720 pixels. Having a 13-megapixel rear camera the phone is quite capable of recording 1080p Full HD videos. And yes there's also a 5-megapixel selfie shooter on the front. Inside the phone, there is a quad-core MediaTek Helio A22 chipset (8x ARM Cortex-A53). According to the sources Honor 8S would be introduced to the market with 2/3GB of RAM and 64GB of storage. In addition, the phone also has a microSD memory card slot. Having a 3020mAh battery, charging port is the old Micro-USB instead of the latest USB type-C. There is no fingerprint reader in the Honor 8S but you do get the face id feature via the front camera residing in the waterdrop notch on the front. 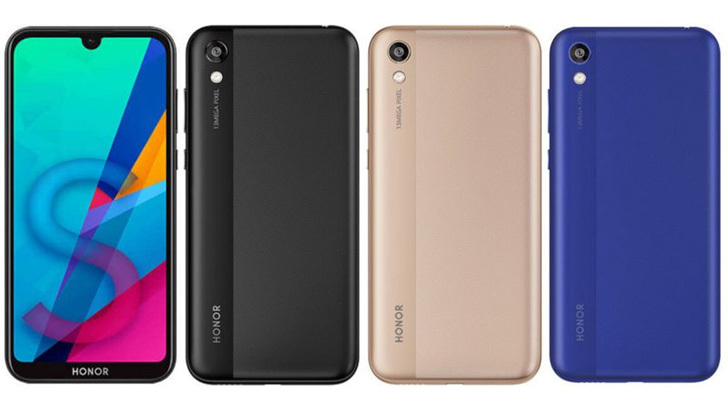 The Honor 8s body is completely made of plastic and comes in black, gold and blue color options. The phone is said to be running on is Android 9 Pie operating system with EMUI 9 on top. The price is likely to be at least 150 euros which convert to some 24,000 Pakistani rupees (without taxes).